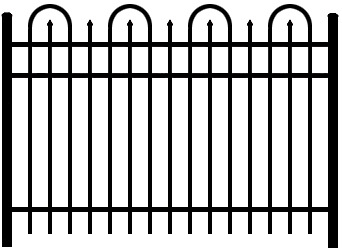 ""Old World"" wrought iron designs are reproduced with elegant arches connecting the pickets. These styles are among our fastest growing, and is unique to Jerith. 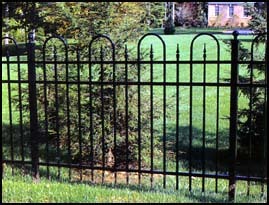 Concord has a distinguished ""Old World"" wrought iron design with elegant curves connecting some of the pickets. This style is available with either standard picket points or finials inside and between the arches.